Home » How-To’s » Your Eyes Need This! Did your eyes know it? Did you know that your computer screens emit bright blue light that looks a lot like the sun? It’s true and your eyes need a break from this light! Did you know that it has been throwing off your body’s internal clock at night and preventing the secretion of melatonin, which causes you to become sleepy? That is right your computer is keeping you awake! Soooooo What do you do? Well, some Doctors say that it is a good idea to quit using a computer 1 hour before you go to sleep. If you can’t do that your Computer Guy has a few tips for you! I have bad eyes and one of the tools I have been using for the last few years to combat this problem for me has been f.lux, this program is an auto screen color correction master! 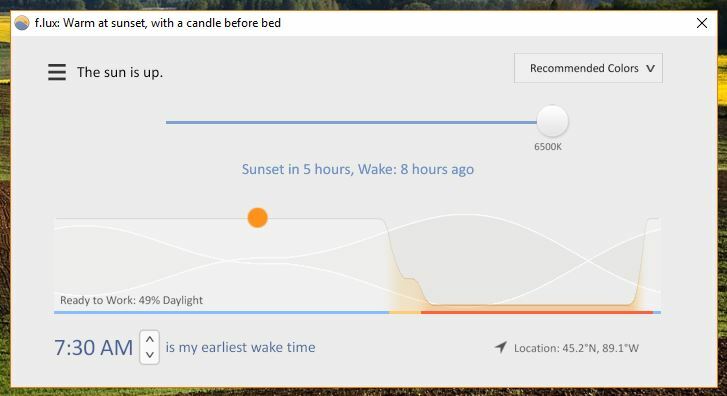 It makes the color of your computer’s display adapt to the time of day. (warm at night and like sunlight during the day) In short, It helps your eyes and also lets you rest better at night. Once the program is downloaded, double click to install. It will ask you where you live (So that way it knows when the sun will be setting) and that is it! Everything else is done automatically. Simply enjoy! Activating it of course is pretty easy too. All you need to do is either go to your settings menu and choose the display menu. Near the very top you will see the Night Light feature, you can play with a few settings or leave it on default. You can also find a short cut to this built in app under the notifications icon on the bottom right of the screen (Looks like a small speech bubble) you will find a toggle button here for it! Now, just so you know, you may find the color correction may take a little time to get used too but I promise. You will adjust, and your body will thank you! 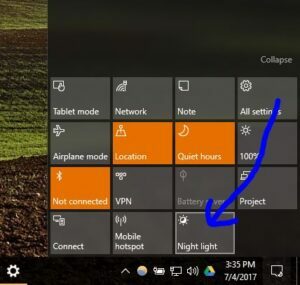 Glad you asked if you have a Google Pixel you can activate night mode by going to To activate it, just go to Settings > Display > Night Light. 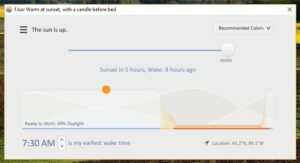 You can also configure it so that Night Light will turn off automatically at certain times. But what happens if you don’t have a Pixel? At the moment there are a number of apps available on Google Play that allow you to achieve the same result. One of the most popular ones around at the moment is Bluelight Filter. It has the same functionalities as those you find on Android. With more new options such as selecting the filter color from seven available shades. Shortcuts on the home screen, a notification widget on the screen and an activation time schedule. What happens if I don’t have an Android?!?! Well iPhone Fans I have great news for you too! Night Shift is here to help! 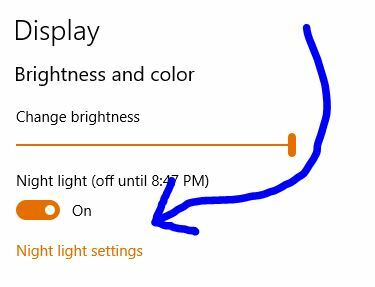 With the proper iOS version (Newest of course) and compatible device, simply head to Settings -> Display & Brightness -> Night Shift. That is it you can play with your settings till your eyes thank you!